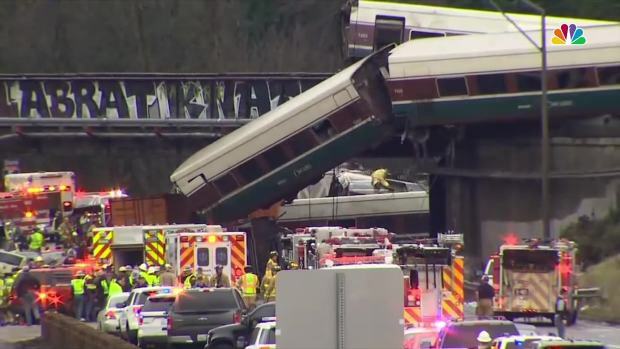 An Amtrak train making the first-ever run along a faster new route hurtled off an overpass south of Seattle on Monday and spilled some of its cars onto the highway below, killing at least three people, injuring dozens and crushing two vehicles, authorities said. Attention quickly turned to the train's speed. Federal investigators say the train was traveling at 80 mph (129 kph) in a 30 mph (48 kph) zone. 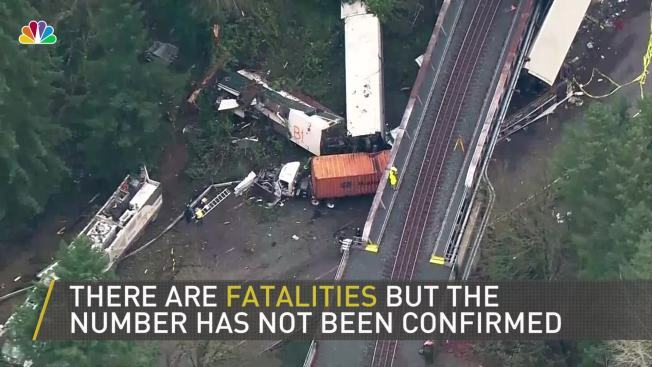 Bella Dinh-Zarr, an NTSB board member, said at a Monday night news conference that information from the event data recorder in the rear locomotive provided information about the train's speed. 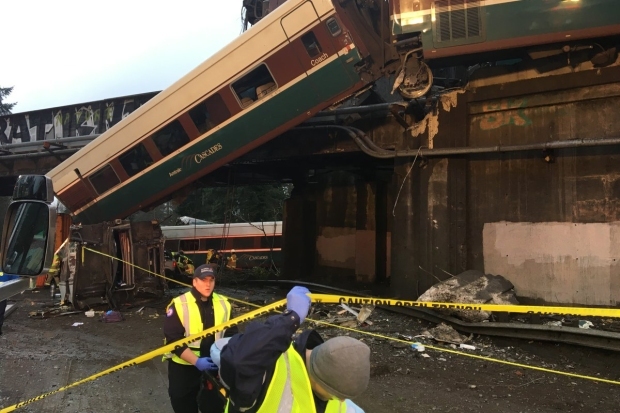 A Portland-bound Amtrak train derailed on Dec. 18, 2017, with at least one car hanging over an overpass and several cars struck. Multiple injuries and fatalities were reported as authorities continued to investigate the cause. 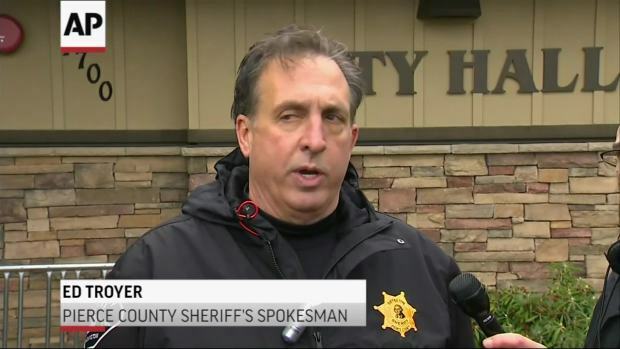 Pierce County Sheriff's spokesman Detective Ed Troyer says there are no rescue operations now, only recovery at the site of the Amtrak derailment in Washington State. Dan Konzelman recounts the scene of a derailed Amtrak train to NBC affiliate KING-TV, telling the station what he found and how he and his girlfriend Alicia Hoverson helped rescue people at the scene before emergency services arrived. Last month, the NTSB released a report in which it criticized Amtrak's safety management. "Amtrak's safety culture is failing, and is primed to fail again, until and unless Amtrak changes the way it practices safety management," NTSB Chairman Robert L. Sumwalt said. "Investigators found a labor-management relationship so adversarial that safety programs became contentious at the bargaining table, with the unions ultimately refusing to participate." The report followed an April 3, 2016, derailment near Chester, Pennsylvania, in which a backhoe operator and a track supervisor were killed. Associated Press staffers Manuel Valdes, Phuong Le and Michael Balsamo contributed to this report. CORRECTION (Dec. 19, 3:30 a.m. ET): An earlier version of this story misspelled Emma Shafer's name.